In the tradition of Sarah Waters, Helene Wecker, and Jessie Burton, The Binding is an atmospheric and mystery-laden historical novel set within a magical world where books are not stories but the repository of individual lives. Young Emmett Farmer is working in the fields when a strange letter arrives summoning him away from his family. He is to begin an apprenticeship as a Bookbinder – a vocation that arouses fear, superstition, and prejudice amongst their small community, but one neither he nor his parents can afford to refuse. But while Seredith is an artisan, there are others of their kind, avaricious and amoral tradesman who use their talents for dark ends – and just as Emmett begins to settle into his new circumstances, he makes an astonishing discovery: one of the books has his name on it. Soon, everything he thought he understood about his life will be dramatically rewritten. 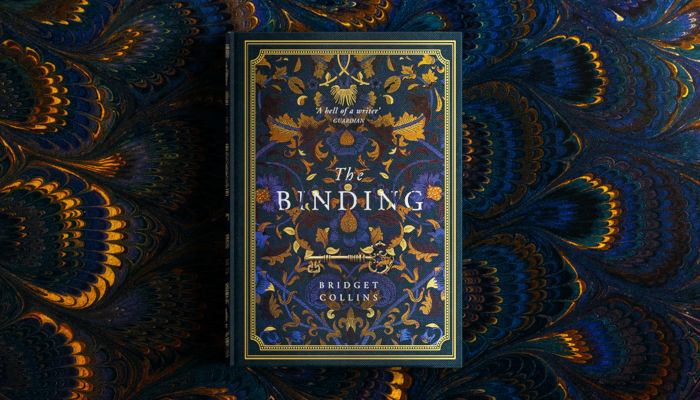 An unforgettable novel of enchantment, mystery, memory, and forbidden love, The Binding is a beautiful homage to the allure and life-changing power of books – and a reminder to us all that knowledge can be its own kind of magic.